Instantly downloadable sheet music (Musiknoten zum herunterladen und ausdrucken) von James Horner for piano solo of EASY skill level. Instantly downloadable sheet music (Musiknoten zum herunterladen und ausdrucken) von Al Kasha for piano solo of MEDIUM skill level. 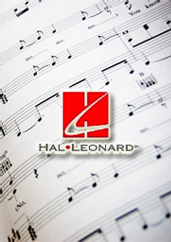 Instantly downloadable sheet music (Musiknoten zum herunterladen und ausdrucken) von Joel Hirschhorn for piano solo of EASY skill level. Instantly downloadable sheet music (Musiknoten zum herunterladen und ausdrucken) von Richard Rodgers for piano solo of EASY skill level. Instantly downloadable sheet music (Musiknoten zum herunterladen und ausdrucken) von Jonathan Larson for piano solo of EASY skill level. Instantly downloadable sheet music (Musiknoten zum herunterladen und ausdrucken) von Jonathan Larson for voice, piano and guitar of MEDIUM skill level. Instantly downloadable sheet music (Musiknoten zum herunterladen und ausdrucken) von Jonathan Larson for guitar solo of MEDIUM skill level. Instantly downloadable sheet music (Musiknoten zum herunterladen und ausdrucken) von Jonathan Larson for guitar of MEDIUM skill level. Instantly downloadable sheet music (Musiknoten zum herunterladen und ausdrucken) von Richard Stilgoe for voice, piano and guitar of MEDIUM skill level. Instantly downloadable sheet music (Musiknoten zum herunterladen und ausdrucken) von Richard Stilgoe for piano four hands of MEDIUM skill level. Instantly downloadable sheet music (Musiknoten zum herunterladen und ausdrucken) von Richard Stilgoe for guitar solo of MEDIUM skill level. Instantly downloadable sheet music (Musiknoten zum herunterladen und ausdrucken) von Richard Stilgoe for piano solo of MEDIUM skill level. Instantly downloadable sheet music (Musiknoten zum herunterladen und ausdrucken) von Peter Allen for guitar of EASY skill level. Instantly downloadable sheet music (Musiknoten zum herunterladen und ausdrucken) von Eric Carmen for voice, piano and guitar of MEDIUM skill level.